Today live like the woman God designed you to be. Women, you’ve been given a special blessing—and it can’t stay secret for long. God has created you to be a kingdom woman. A kingdom woman makes a difference wherever she goes. And that gets noticed both in heaven and on earth. Maybe you are confident in your skills and abilities but are overwhelmed by the demands of life. Maybe you are scared and depressed or feel life has been unfair to you. No matter what your situation or life circumstances, Kingdom Woman will encourage and challenge you to be transformed by God’s truth, seek His best, and move forward in the abundant life He has for you! 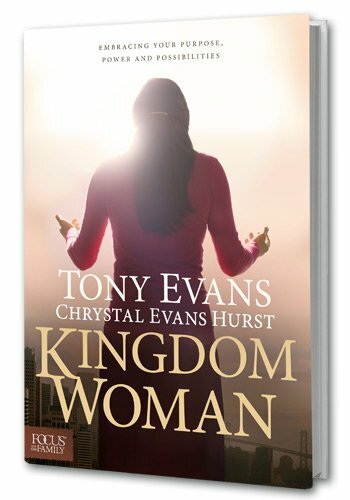 The principles within these pages will empower you to change your life, live as a kingdom woman, and enjoy a brighter tomorrow. Don’t wait another minute. This is what you were made for. Become the kingdom woman God created you to be.